Twenty-five members of the European Union have agreed to establish a joint intelligence training academy, a move interpreted by some as a concrete effort to deepen inter-European security cooperation following Brexit. The announcement came just hours after leading EU heads of state spoke in favor of establishing a joint EU defense force. Calls for tighter cooperation between EU members in the areas of defense and security have been issued for decades. But the upcoming departure of Britain from the EU —popularly known as Brexit— has prompted Germany and France to propose deeper integration as a response to the rise of anti-EU sentiment across the continent. The decision to establish a joint intelligence training school was approved on Monday by the ministers of defense and foreign affairs of 25 EU members. It was part of a wider agreement involving 16 other joint defense and security projects under the Permanent Structured Cooperation (PESCO) pact. The pact was first agreed on in September of 2017, and has since been functioning under the supervision of the European Defense Agency and the External Action Service —the diplomatic service of the EU. Nearly 20 projects of a military or security nature have since been signed under PESCO. Monday’s agreement virtually doubled the PESCO projects in existence. 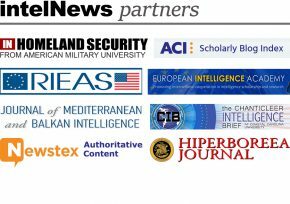 The new EU intelligence academy initiative will be led by Greece —an EU member since 1981— and will be headquartered in Cyprus, which joined the EU in 2004. When it becomes operational, the academy will provide “education and training in intelligence disciplines and other specific fields to EU member states’ intelligence personnel”, according to a joint PESCO communique issued on Monday. The new intelligence school will work in cooperation with the individual intelligence agencies of the 25 co-signatory states, along with the North Atlantic Treaty Organization and with other regional security bodies, said PESCO. However, three EU states, namely Denmark, Malta and the United Kingdom, refused to support the project. Denmark and Malta are not participants in PESCO, while the United Kingdom is expected to leave the EU in March of next year. However, even before Brexit, London had vetoed the idea of closer EU intelligence cooperation, which it saw as a potential competitor to the so-called Five Eyes alliance, a postwar intelligence pact between the United States, the United Kingdom, Australia, New Zealand and Canada. Additionally, despite the overwhelming support for the intelligence academy by EU officials, it remains to be seen whether it will be realized. Observers told Politico on Monday that many other PESCO projects have “yet to get much beyond the drawing board” since their announcement last year. Analysis: Making Sense of the New CIA Battlefield in Afghanistan. “The military backgrounds of the fallen CIA operatives cast a light on the way the world of intelligence is increasingly muscling up and becoming militarized […]. This is no longer intelligence as anyone imagines it, nor is it military as military was once defined […]. And worse yet, from all available evidence, despite claims […] it seems remarkably ineffective”. CIA planned to ‘rendition’ suspects in Germany in 2001. The CIA had 25 agents in Germany after the September 11 attacks and planned to illegally rendition al-Qaeda suspects without informing the German government. In the end, the plan was scrapped because of objections by the Agency’s German section. French president appoints woman in charge of spy school. Nicolas Sarkozy is to create a ‘school for spies’, whose principal job will be to discourage French intelligence chiefs from spying on, and fighting against, one another. There are rumors that the school’s first director will be woman academic with no previous experience of espionage. Last Russian intel officers leave Crimea. The last Russian Federal Security Service officers stationed with Russia’s Black Sea Fleet in Crimea reportedly left the Ukrainian peninsula on Friday, just two days prior to the Ukrainian government’s deadline of December 13. Australia to establish national security college. The new institution will become “an elite educational center for Australia’s spies and security experts”. Hungarian Cold War double agent dies at 71. István Belovai, a former Lieutenant-Colonel in the Hungarian People’s Army Military Strategic Service (HPAMSS), who secretly began working for the US in 1984, has died in Denver, Colorado. Belovai revealed to the CIA details of the so-called Conrad spy ring. He was arrested by Hungarian security agents in 1985 and fled to the US upon his release from prison, in 1991, after being warned that his life was in danger. US military spies to train Iraqi counterparts. The 201st Battlefield Support Battalion is training Iraqis on how to “coordinate spying from human sources, intercept cell phone and other electronic messages, do counterintelligence work, manage linguists, and monitor and target enemy positions, among other specialized tasks”. Swiss secret service chief calls for more spies. Markus Seiler, the head of the new Swiss Federal Intelligence Service, which combines the country’s foreign and domestic intelligence services, has called Switzerland “a stomping ground for secret services”, and has called for more counterintelligence personnel. He has also said that the intelligence services plan a greater presence in Swiss embassies around the world.